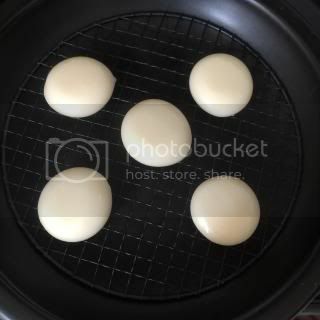 A HAPPY DONABE NEW YEAR!!! The final lunch of 2013 was our traditional new year's eve soba noodles ("Toshikoshi Soba"). 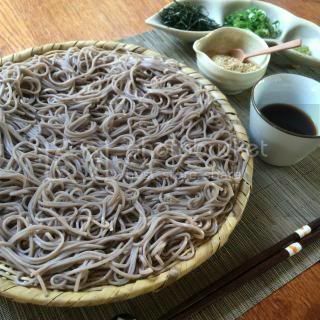 In our (Japanese) culture, we eat soba on new year's eve to pray for health and longevity. I made classic cold soba noodle on a bamboo tray ("zaru soba") with dipping sauce and condiments. 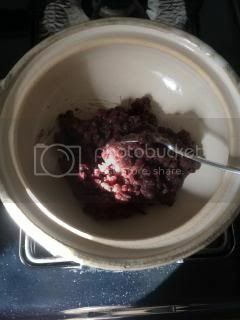 On New Year's Day, Jason and I started with sweet azuki bean stew ("Oshiruko") brunch. 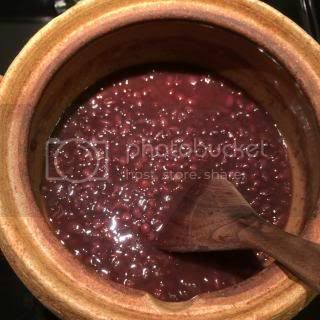 First, I made azuki bean paste in my Soup & Stew Donabe, "Miso-shiru Nabe". 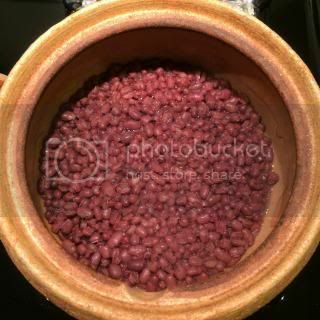 I braise the beans in the oven for 1 hour, and this slow and gentle process makes the really flavorful and delicate bean paste. 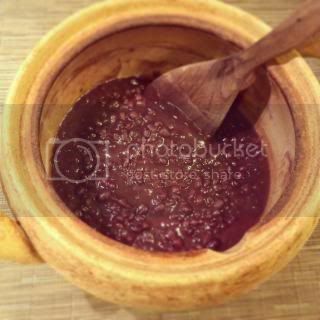 You can find my sweet azuki paste ("anko") recipe in toiro kitchen's website. I made the "anko" a day before, so it was ready to go on New Year's Day. 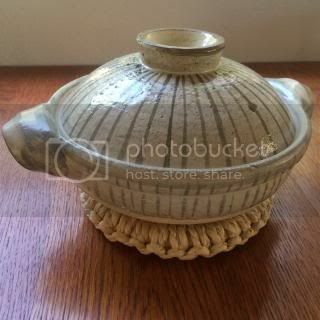 About 1 cup of "Anko" was added to my mini-size classic-style donabe, "Rikyu-Tokusa" and diluted with some water (about 2: 1 ratio). 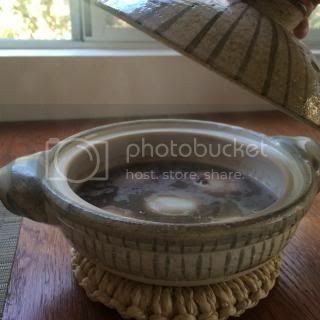 While the mixture was being heated, I baked mochi in my tagine-sytle donabe, "Fukkura-san". 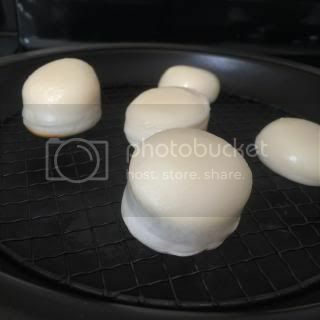 I just set a grate on Fukkura-san's skillet (pre-heated over medium-high heat), laid mochi pieces, cover with lid and cooked until the mochi were puffed. So easy! 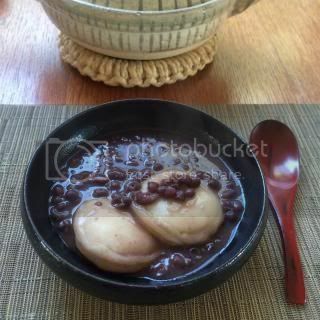 Finally, mochi were added to heated azuki stew and served at the table. Our New Year Oshiruko was so delicious and I felt a lot of good luck coming!